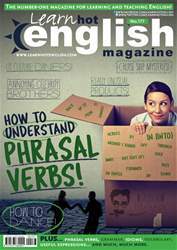 Digital Subscriptions > Learn Hot English > 177 > MICKEY MOUSE SUBJECTS! Look at the paragraph titles related to unusual courses. What do you think the courses involve. Make notes. Read or listen to the article once to compare your ideas from the Pre-reading activity. Which course is the most ridiculous? Why? Read the article again. Then, write the name of a course (use the paragraph titles) next to each statement. 1. It’s being offered by Skidmore College. 2. It’s being offered by Glasgow University. 3. It looks at voodoo culture in Haiti. 4. It’s based on a TV series about a group of plane crash survivors.